Last week Gov. 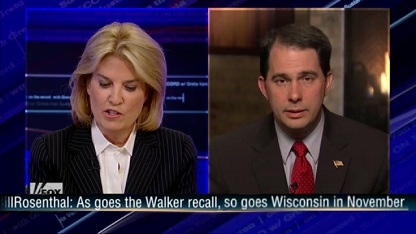 Scott Walker appeared on Greta Van Susteren’s show on Fox News Channel, and one thing the interviewed focused on was the major national impacts the upcoming RECALL election in Wisconsin will have. If the RECALL election fails, and Republican Gov. 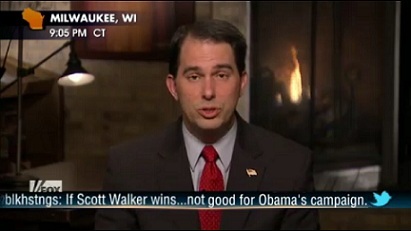 Scott Walker wins, then it will be a huge defeat for Barack Obama, and a major setback for his re-election campaign for president. We now have only have 16 days left to DEFEAT the RECALL. Time is short and we must act now if we are going to win this epic campaign battle. Please, make a contribution to DEFEAT the RECALL – HERE. Thanks so much everyone for your help and support. 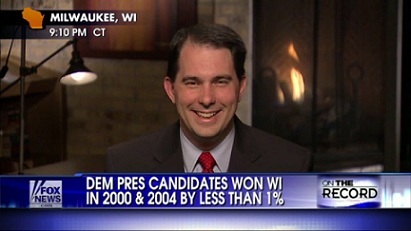 We’re going to win this fight, we’re going to DEFEAT the RECALL, and we’re going to stop Barack Obama from getting Wisconsin’s 10 Electoral Votes. Share this with your friends on Facebook, Twitter & More!